We are a multi-disciplinary group of plant enthusiasts who are dedicated to raising awareness about plant consciousness and our inter-connected mutual relationships with all living systems. Special attention is given to remembering that our place on this planet is not above Nature, but rather One with Nature. We come together in response to our direct perceptions of environmental changes and the unconscious activities towards Nature and the plant kingdom. We believe that our collective and diverse skills bring solutions that can start to heal our planetary home. Plant Pioneer projects and programs are ecologically principled, educationally interactive and technologically oriented towards environmental stewardship and the treatment of Nature with the utmost of respect and integrity. Thus, at Plant Pioneers, not only are we a resource in sharing basic human-plant harmonious solutions, with hands-on educational programs and engaging projects, such as Music of the Plants, Sacred Geometry Metaforms and generative music in a Garden of Sounds, we are also a place where plant intelligence research from around the world is disseminated. 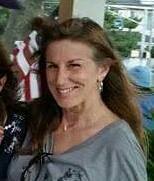 Marguerite Uhlmann-Bower, RN, Clinical Herbalist, Wild Crafter, wild foods forager in traditional herbal ways. She is co-founder and director of Plant Pioneers, a Human-Plant Relations Movement. Her work invites people and students to become interested in plants through hands-on, outdoor Nature experiences (see WeedsLeavesSeedsShoots.com) that bridge traditional herbal medicines, science and phenomena for an earth-based path. In recent years, her outdoor explorations have grown to include additional tools that connect humans to plants: Music of the Plants and Cymatics. These and other experiences offer deeply palpable visuals to better understand the Nature that we are. Marguerite believes these one-on-one plant experiences solidify an ancient memory that still lives in our bones. Through skilled hands-on wild-crafting, art & drawing, willful explorations and simple fun experiments, after a long day there’s an element everyone leaves with… we realize… our existence… is interpenetrating. By developing the innate ancestral gifts we were born with that empower our listening skills to the voice of Nature, navigating the outdoor field, knowing the harvest in respectful foraging and reciprocal Earth based ways, at love, work and play, we’re in essence living the life we were meant to. Lacy Johnson - co-founding Plant Pioneers member; she was born and raised in Texas and moved to the Catskill area in 2015. The move led her to her current studies in herbalism. 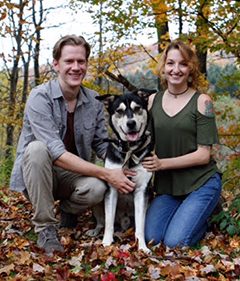 She is a first year herbal medicine student who in her spare time likes to be outside with her husband, Josiah, and Husky dog, Moqui. Founder and CEO of Dragonfly Effect Naturals and co-founding member of Plant Pioneers. By the time Adam turned 18 years old, he had been involved in a small start-up company with a new twist on the traditional multi-level marketing model which attracted over 50,000 members in under 3 years. 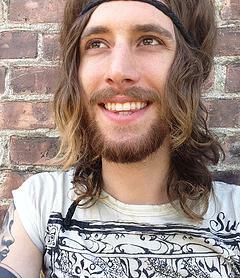 A couple of years later he helped found a raw vegan food company. He has run his own freelance film and website development company, Adam Riva Films, since he was in his teens. He is a health freedom activist, a journalist, and a public speaker. He is also editor of DragonflyEffectNews.com, a philosophy-oriented news website that has attracted more than 1.5 million article views. Bonnie Kavanagh is a second generation nurse and herbalist with over 35 years experience in health care. Bonnie is a graduate of the Rosemary Gladstar Art and Science of Herbology Apprenticeship and now teaches this program and other herbal and gardening classes at 7 Arrows Farm in Attleboro , Massachusetts where she is the community herbalist. Bonnie has been a presenter at many conferences including the Northeast Women's Herbal Conference, the Mid-Atlantic Women's Herbal Conference, the International Herb Symposium and the Rhode Island Herbal Conference. She loves to introduce people to the many benefits living a plant inspired life can offer. In addition to her herbal work Bonnie is the Director of Sales and Marketing for Fairland Farm, LLC a privately owned cranberry farm in Southeast Massachusetts. Bonnie is a member of the board of directors for the Hope Street Farmers Market and is passionate about educating people on the benefits of supporting local agriculture and artisan food businesses in her community. Being a part of the Plant Pioneers Movement is a dream come true for this consumate plant lover. 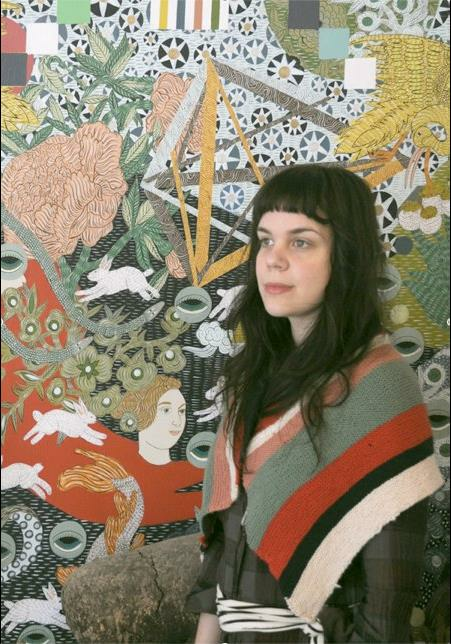 Originally from Puerto Rico, Cristina Toro is a professional artist who lives in upstate New York. She has exhibited widely and received many honors including a New York Foundation for the Arts painting fellowship. Her paintings deal with intuition, the invisible world of the heart, natural medicine, and plant magic. Judith Millar is a practicing herbalist, educator (public school & university), and environmental educator. She maintains a home based client practice in NJ, and offers classes in foraging and herbalism.